Most consumers accept that certain physical changes occur when we get older. To many, one of those conditions is worsening eyesight, but there are currently 11 million older Americans who suffer from a more severe eye condition. Age-related macular degeneration (AMD) is a disease in which central vision – what you see when you are looking straight ahead – is lost in both eyes. The disease can be progressive, getting worse as consumers get older. There is currently no cure for AMD, but a new study has discovered its possible cause. Senior author Dr. Akihiro Ikeda and his colleagues discovered the protein after studying mouse models that had certain retinal abnormalities that mirrored conditions in older mice. Through genetic mapping, the researchers found that the symptoms were caused by a mutation in Tmem135. Investigating further, the team found that the protein plays a key role in the size of mitochondira, an organelle in cells that produce energy. One researcher explains that, depending on whether or not it is acting properly, this protein is largely responsible for regulating the retina. The fact that mutations of this protein are tied to both accelerated aging and age-dependent diseases shows that both processes are closely tied together. 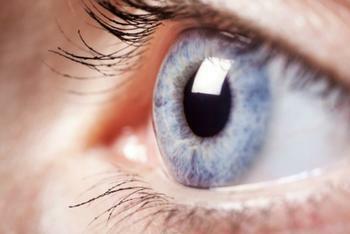 The researchers believe that further research could provide information that could help those affected by age-related eye diseases. “Based on our findings, Tmem135 may be a key molecule that could tip the normal aging process toward age-dependent diseases and potentially be explored for future treatments," said Wei-Hua Lee. The full study has been published in eLife. Are mobile devices ruining your eyes?